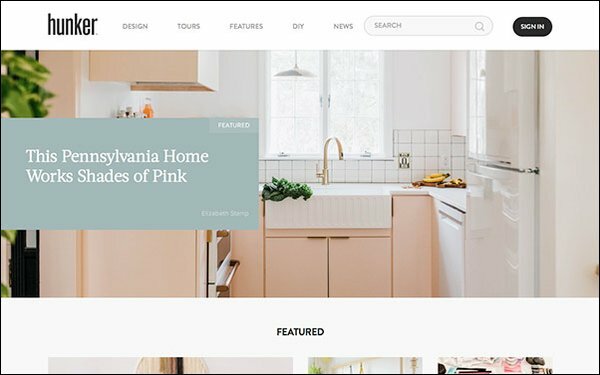 Home design site Hunker has partnered with The New York Times on a content hub featuring articles from both publishers. Called “How We’re Living,” the content collaboration is the first time the two media brands have worked together. The hub lives on Hunker.com and is co-branded with The New York Times, featuring lifestyle and design articles from both sites. “How We’re Living” hosts a selection of curated articles offering advice and tips on topics like interior design, entertaining, smarter living and food. The hub will be updated regularly with new content. At present, it houses stories like “Here to Help: 4 Cheap(Ish) Things For Every College Dorm” from The Times, and “13 Contemporary Bathroom Ideas That Are Changing The Game” from Hunker, for example. Hunker is owned by Leaf Group, the rebranded Demand Media. Hunker was created in 2017, one of a number of verticals launched by Leaf Group from specific categories that did well on its Livestrong and eHow sites. Leaf Group also publishes pet-focused Cuteness, family tech site Techwalla and millennial-focused personal finance site Sapling. The company acquired Well + Good last summer.